Atrial fibrillation is an irregular and sometimes rapid heart rate. It can raise your risk of heart failure, stroke, and other medical issues involving the heart. When you have atrial fibrillation, the two higher chambers of the heart, the atria, beat irregularly. They beat out of sync with the two lower chambers of the heart, the ventricles. Atrial fibrillation can be episodic or chronic. If it is chronic, then you may need treatment. The condition is not usually life-threatening. However, it is something that you must be concerned about. Complications can result from the condition. It can result in blood clots that form in the heart. These clots may move to other organs and cause ischemia – blocked blood flow. – Occasional: This is called paroxysmal atrial fibrillation. Your symptoms, in this case, will come and go. – Persistent: When you have this form of the condition, your heart rhythm doesn’t return to normal by itself. If you have persistent atrial fibrillation, then you will need medical attention to get your normal rhythm to return. – Long-standing persistent: This form of the condition will last longer than a year. – Permanent: When you have this form of the condition, doctors can’t restore your rhythm to normal. You will probably need medication to regulate your heart rate. Your heart contains four different chambers. The two upper chambers are called the atria and the two lower chambers are called the ventricles. The right atrium contains some cells that are called the sinus node. The sinus node creates the impulses that cause the beats. When you have atrial fibrillation, the atria undergo chaotic electrical signals. Because of this, they quiver. The connection between the atria and the ventricles become overwhelmed with electrical impulses that attempt to get through to the ventricles. Since not all of the impulses reach the ventricles, the ventricles don’t beat as quickly as the atria. The end result is a fast and irregular heartbeat. Sometimes, you may get atrial fibrillation with no clear cause. This is called lone atrial fibrillation. In this condition, the heart beat is not as chaotic as in atrial fibrillation. Each condition can cause the other. Atrial flutter is not usually a life-threatening condition. 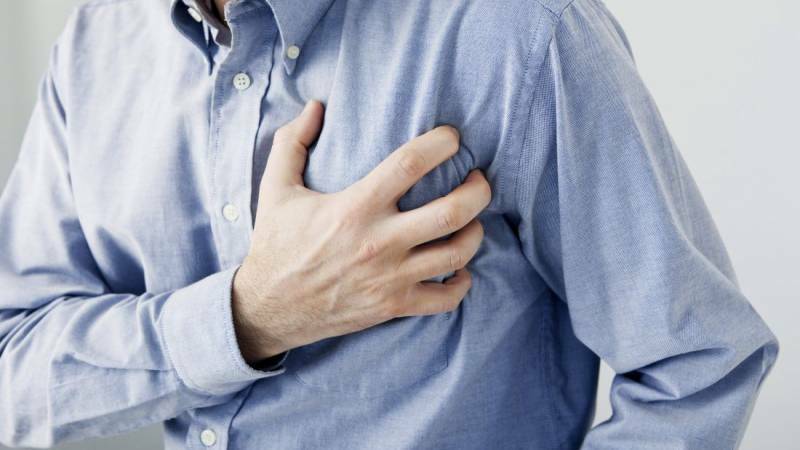 – Age: The older you are, the greater your risk for atrial fibrillation. – Heart disease: Heart illnesses can raise your risk of the condition. – Hypertension: Uncontrolled hypertension can be a risk factor. – Chronic health conditions: The following conditions may put you at risk – metabolic syndrome, sleep apnea, diabetes, kidney disease, lung disease, and thyroid problems. – Alcohol: Alcohol can trigger an episode of the condition. – Genetics: Atrial fibrillation is a condition that runs in families. – Obesity: Obesity predisposes you to atrial fibrillation. When you get an episode of atrial fibrillation, the irregular heart rhythm may result in the pooling of blood in the atria. If a blood clot results, then it may travel from your heart to your brain. Once there, it may cause a stroke. Blood thinners may lower your risk of a stroke or damage to your other organs. Atrial fibrillation can result in heart failure. Heart failure occurs when your heart cannot circulate enough blood to provide for the needs of your body. Electrocardiogram – This test works by monitoring the electrical signals in your heart. Halter monitor – This is essentially a portable ECG device that you wear. Event recorder – This is also a portable ECG device that is used for longer periods of time. Echocardiogram – This test uses sound waves to produce an image of your heart. A wand is used to bounce sound waves off of your heart. Certain types of echocardiograms require the insertion of a tube down your throat. Blood tests – This kind of test can pick up on thyroid abnormalities that may lead to atrial fibrillation. Stress test – This test monitors your heart while you exercise. Chest x-ray – This test allows your doctor to see your heart, lungs, and other organs that may have some issues. Cardioversion is a procedure where your doctor will reset your heart to its normal rhythm. Electrical cardioversion – This form of the procedure delivers an electrical shock to the heart that momentarily stops it. When your heart starts beating again, it usually will go back to a normal rhythm. This procedure is performed while under sedation. Drug cardioversion – This form of the procedure uses drugs to restore the heart to its normal rhythm. After electrical cardioversion, your doctor may give you some medication to prevent future atrial fibrillation. Your doctor might prescribe medication to generally control your heart rate. Catheter ablation – In this procedure, your doctor will insert catheters into your groin. Then, they will guide them through blood vessels to your heart, once there, your doctor will destroy the problem tissue. Surgical maze procedure – This procedure is conducted during open-heart surgery. Using incisions, the doctor will create scar tissue that interferes with the impulses that cause atrial fibrillation. Atrioventricular node ablation – This procedure involves applying radiofrequency energy to destroy an area of the tissue that is causing the problem. Warfarin – This powerful medication is used to prevent blood clots. It may cause bleeding, however. Newer anticoagulants – There are some newer blood-thinning medications that are available. They are easier to use than Warfarin. If you have any of the symptoms mentioned earlier, then you should seek medical attention as soon as possible. Atrial fibrillation is rarely life-threatening, but it is better to err on the side of caution.